Last summer I traveled into the mountains of Afghanistan for a two-week backpacking adventure. Not your typical summer vacation destination. Here’s what I witnessed. 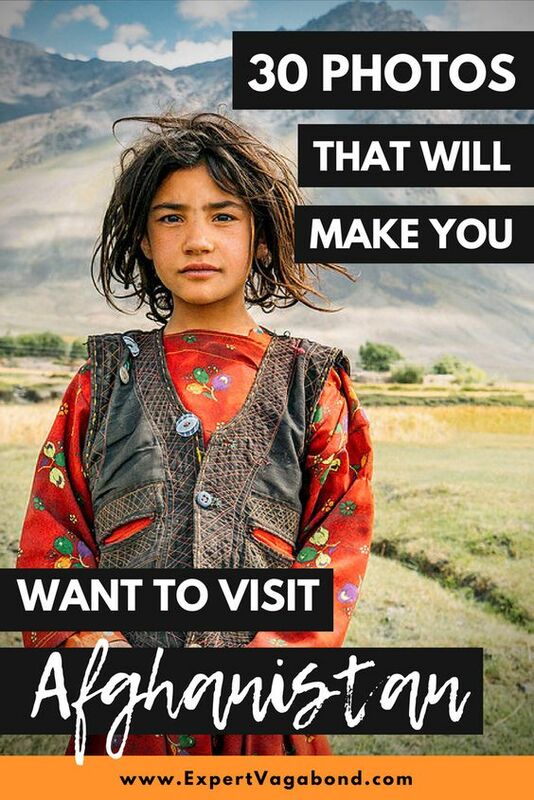 What comes to mind when you think about Afghanistan? War? Terrorism? Osama Bin Laden? The Mother Of All Bombs? 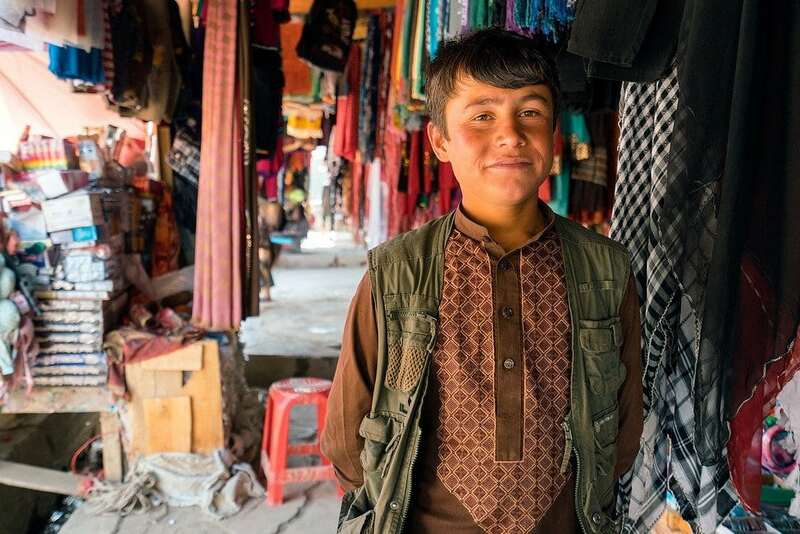 Sure, much of Afghanistan is still dangerous — but there’s also incredible beauty, hospitality and kindness in the country that doesn’t get reported on. It’s far too easy to vilify or write-off an entire nation when you don’t have to look those people in the eyes. People with the same hopes and dreams as you — to survive, find happiness and provide for their families. I was able to experience the positive side of Afghanistan and its wonderful people, up close and personal, during my trip there last summer. It’s since become my most memorable travel adventure to date. Here are some of my favorite photos of people & landscapes from my 100-mile backpacking trip into Afghanistan’s remote and mountainous Wakhan Corridor. This is the “other” side of Afghanistan that you don’t see in the news. 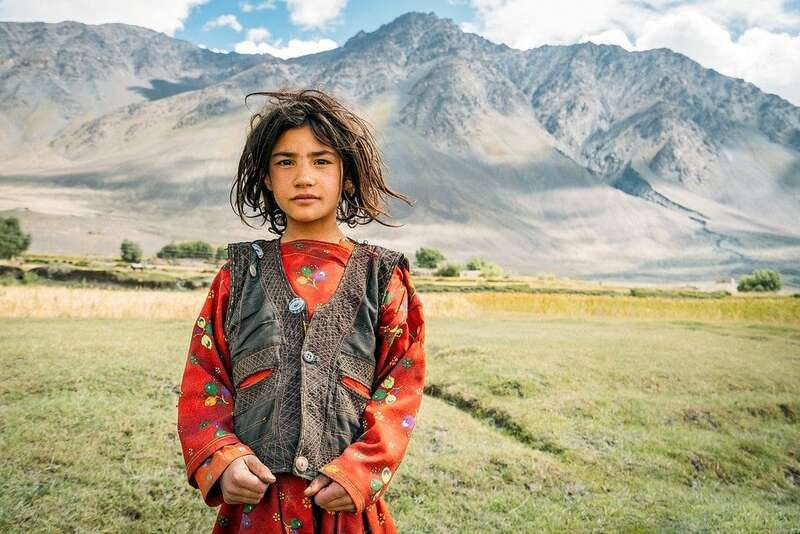 The Wakhan is a rugged and wild region of Northeast Afghanistan, part of Badakhshan Province. It’s a narrow piece of land, about 400 km long, surrounded on three sides by Tajikistan, China, and Pakistan. Two large mountain ranges dominate the area, the Pamir in the North, and the Hindu Kush in the South. 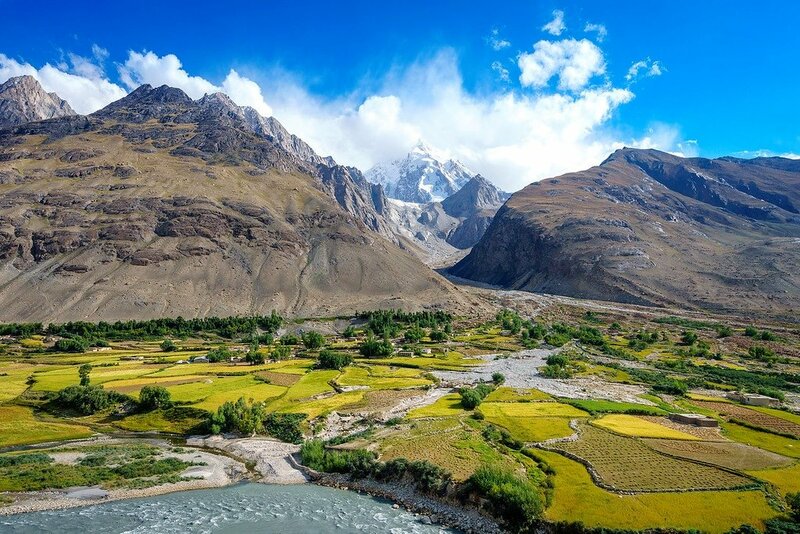 The Wakhan Corridor was created by politicians in the 1800’s during the “Great Game” in an attempt to leave a buffer zone between British India and the Russian empire. 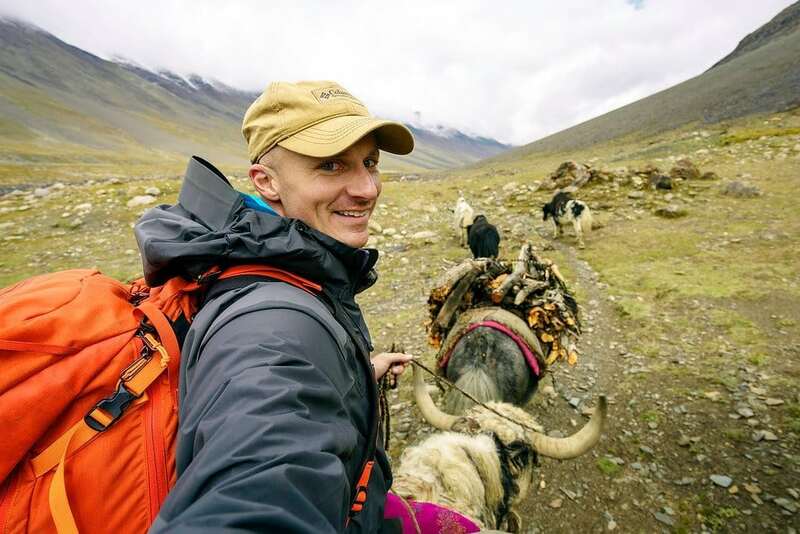 Traveling by foot with my backpack, I managed to take a break hitching a ride on a yak for a portion of the route. 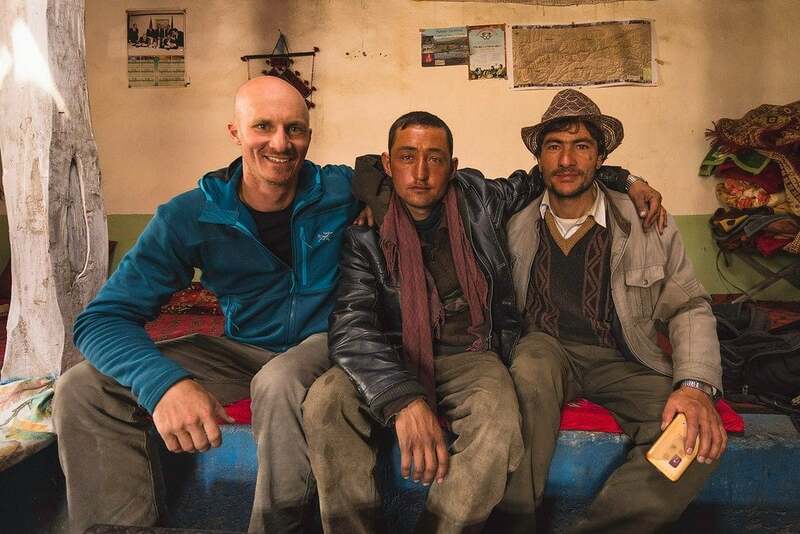 We ran into a group of Wakhi men leading their yaks through the mountains. While they stopped for tea, they let us borrow their yaks, which we led further into the valley until their owners caught up with us later. 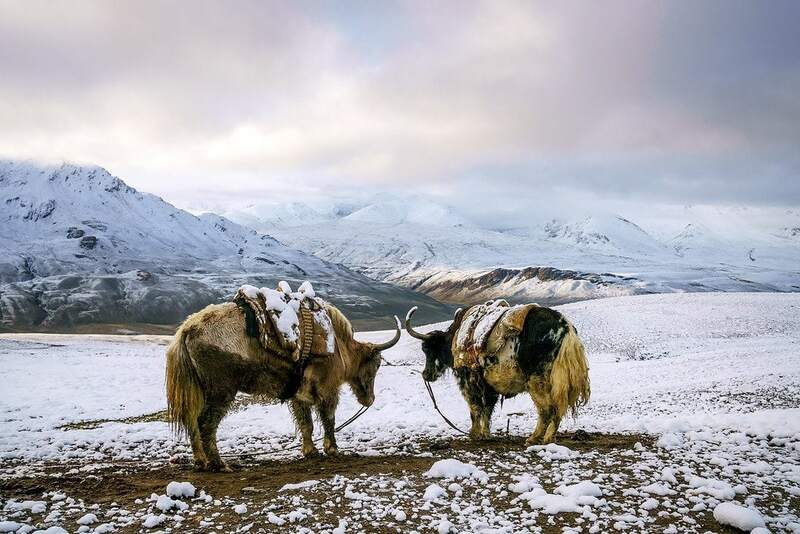 Yaks are the ultimate eco-friendly 4×4 in Afghanistan, able to climb steep rocky terrain and power through icy cold rivers. 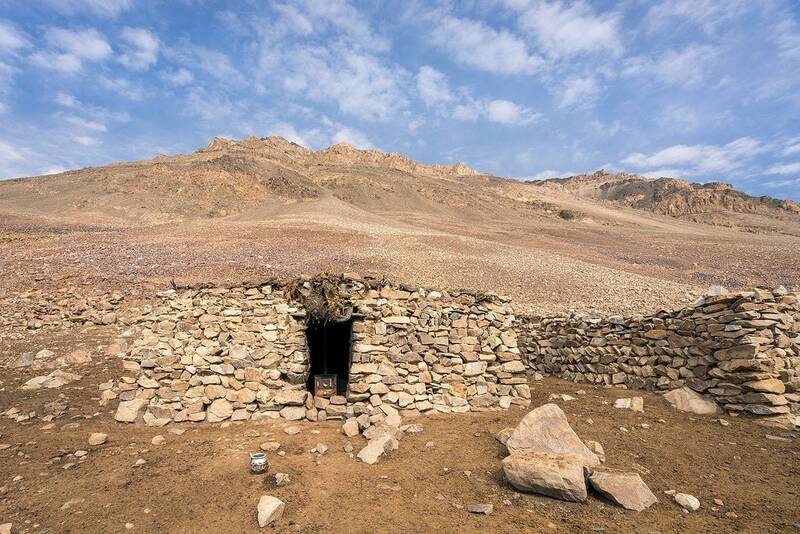 There are no trees above 10,000 feet, so locals are forced to trek for 3 days to lower elevations with their animals in order to gather firewood for cooking and warmth. 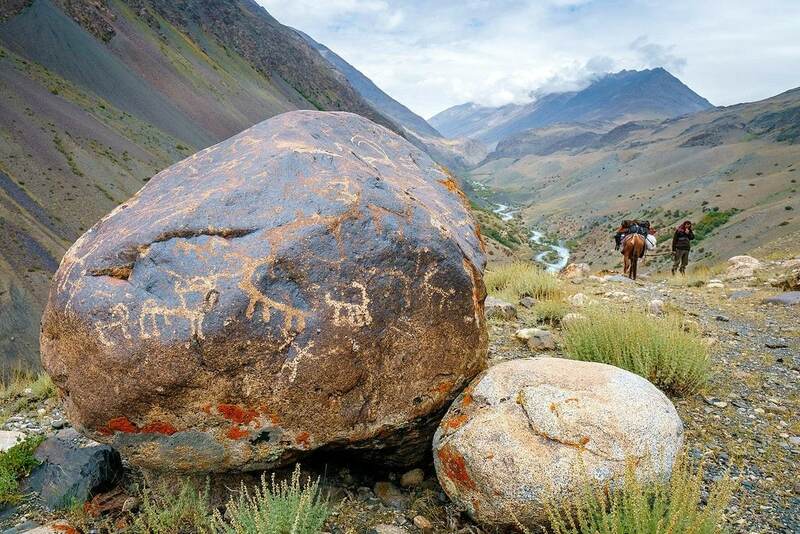 The Wakhan was once part of the ancient silk road, an important trading route connecting China to Europe. Along with silk, horses, and other goods, it was a highway for armies and explorers too. 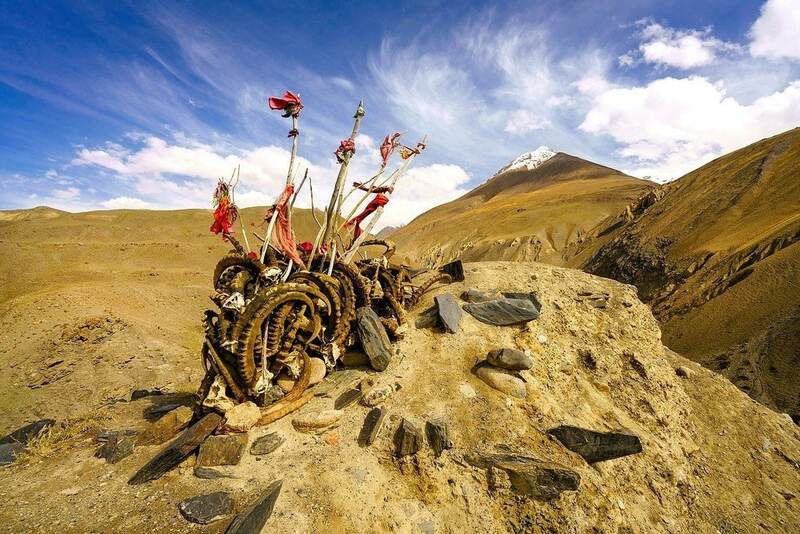 Explorers like Marco Polo who is believed to have passed through here during the 13th century. 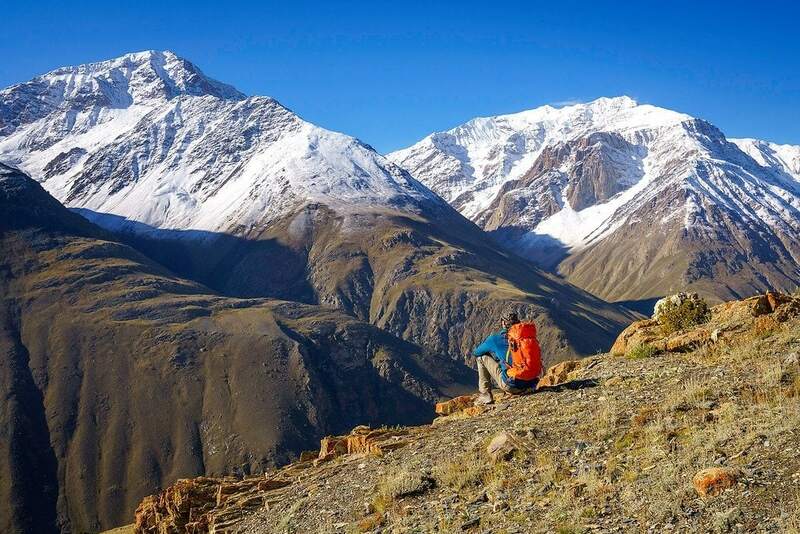 Crossing steep mountain passes and high desolate plateaus, passing caravans of yaks and donkeys loaded with goods, spending the night in stone shelters with traveling merchants — I felt like I was getting a glimpse of what the silk road must have been like all those years ago. Just like the many different branches of Christianity, there are many different branches of Islam, all with their own beliefs and values. 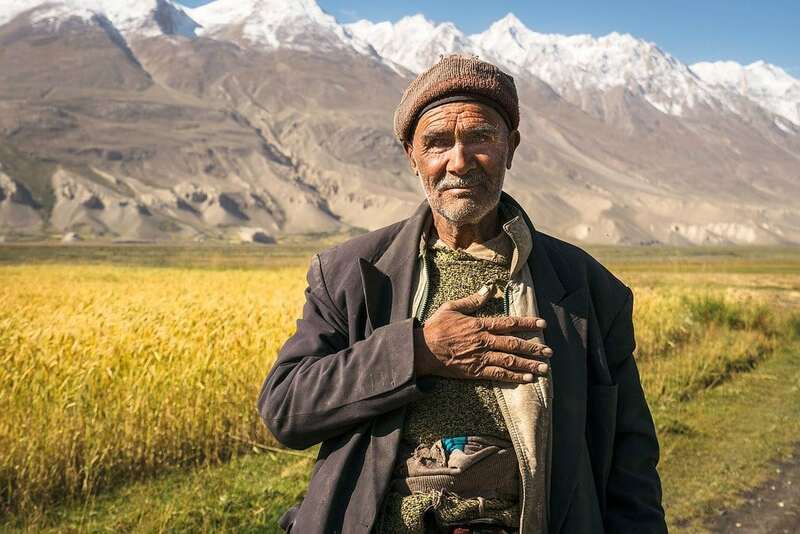 Many people living in Afghanistan’s Wakhan Corridor are Ismaili Muslims, who practice a moderate form of Islam. They number 25 million worldwide, and despise the Taliban. Their spiritual leader is the Aga Khan, a successful British businessman and Imam who runs the Aga Khan Development Network, a super important charity organization that improves living conditions and opportunities for the poor in Africa and Central Asia. 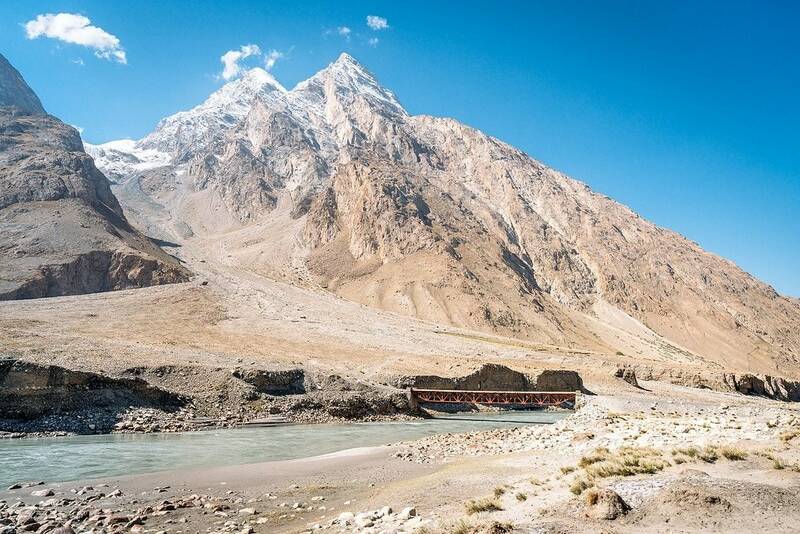 The Wakhan River runs through the Wakhan Corridor, fed by the high altitude mountains of the Hindu Kush on the border with Pakistan. It snakes its way through the mountains and is a major lifeline for the people living in this harsh and unforgiving landscape. The bright blue color of this water is due to reddish hues of the rock formations around it, as well as the crystal clear source (a glacier). Water molecules absorb other colors, like red, more efficiently than blue. When the weather was clear, I was rewarded with incredible views of the mountains like this! 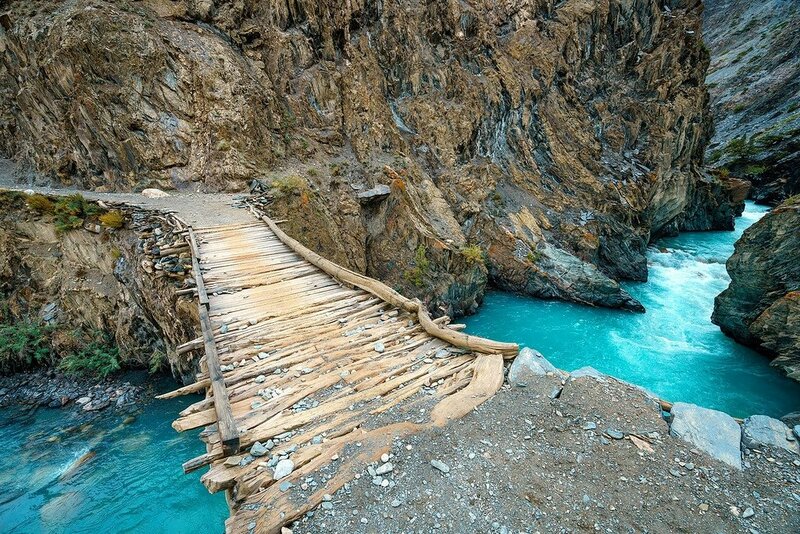 The trail was well worn, as it’s used daily by small groups of locals who travel in caravans of yaks or donkeys from settlement to settlement. The 10 day trek ranged in altitude from 10,000 to 16,000 feet, and we averaged about 10 miles per day of hiking. I began to feel the effects of altitude on my body around 12,000 feet with shortness of breath. At 16,000 feet hiking became even more tiring and difficult. 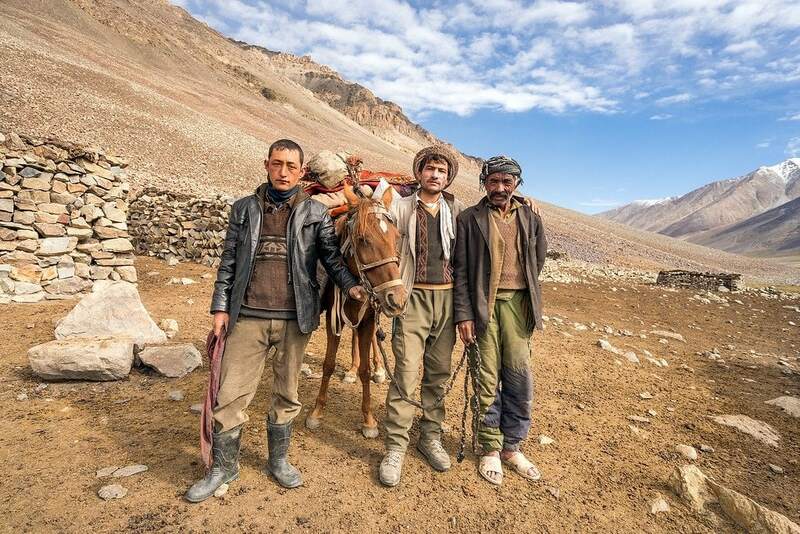 The Kyrgyz people of Afghanistan are semi-nomadic, moving from valley to valley herding their animals to different grazing pastures depending on the season. 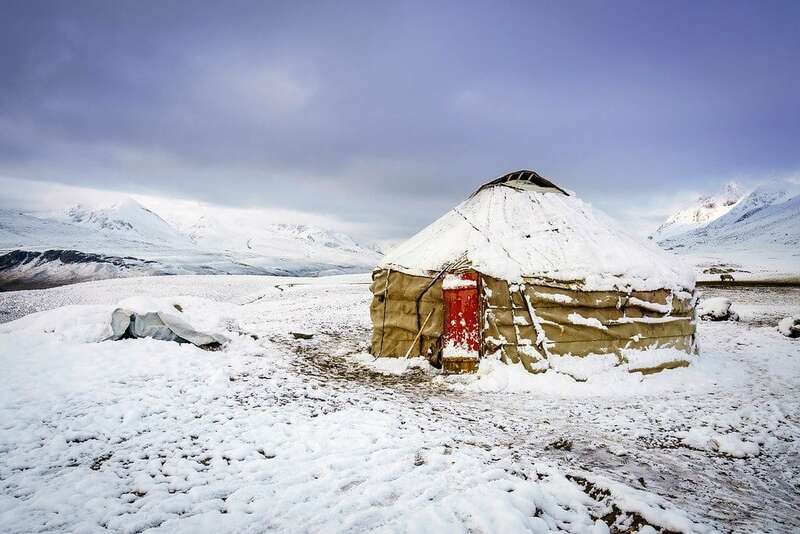 They live in cozy yurts made of sheep felt, which can be broken down and transported long distances. Each settlement consists of 2-3 families living and working together. 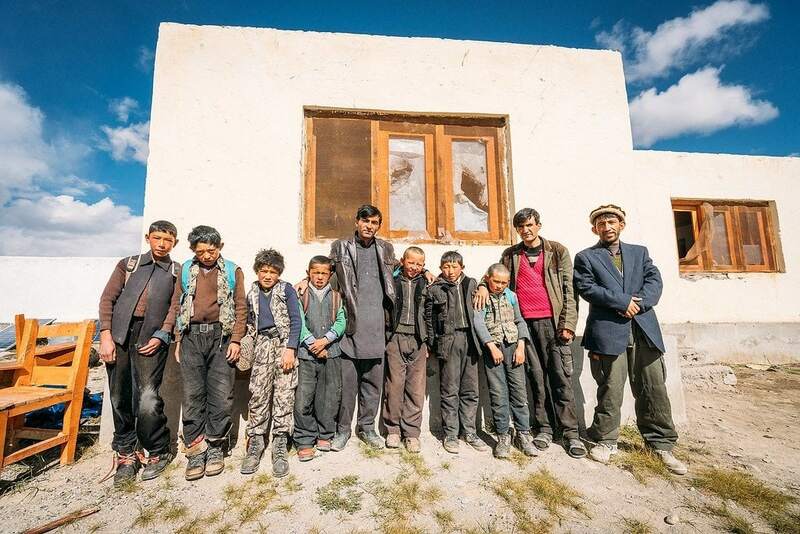 Originally from the area around Kyrgyzstan, their ancestors were kind of trapped in the Wakhan after the Soviets took over Central Asia, forcibly settled nomadic tribes, and sealed off the silk road route. 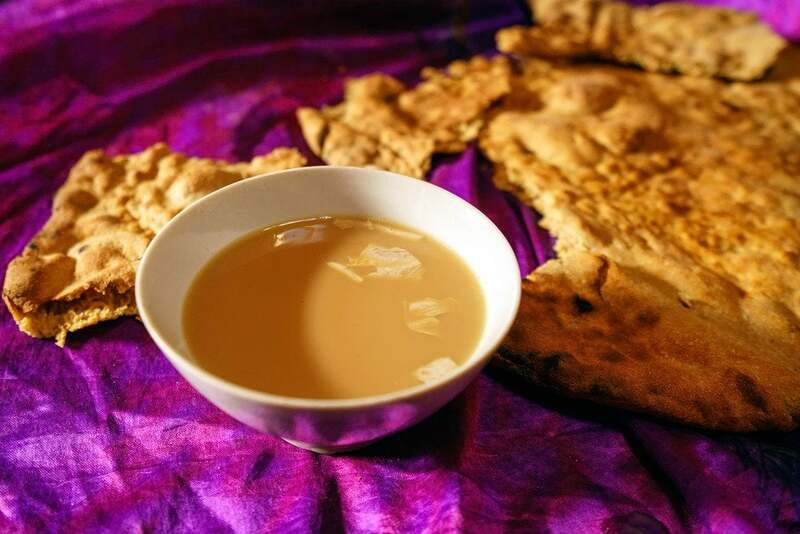 Both the Wakhi and Kyrgyz people drink large amounts of salty milk tea, called Sheer Chai. It’s served for breakfast, lunch, and dinner. Basically, it’s a mix of yak and goat milk, boiled down for hours and dried into a portable block. It’s prepared by adding boiling water, loose-leaf tea, and rock salt. The salt is great for rehydration at high & dry altitudes — I called it my Afghan Gatorade. It took a while to get used to (salty hot milk anyone? ), but by the end of the adventure my body was craving sheer chai for every meal. You can also dissolve raw butter into the tea at breakfast for extra calories. Near the end of my 2nd day on the trail, we hiked past a set of ancient petroglyphs scrawled into a dark colored boulder overlooking the valley. My local guide, Yar, couldn’t tell me much about them, other than they think these markings are a few thousand years old. They depict hunting scenes, men armed with what appear to be bows, as well as large game like ibex and the rare Marco Polo sheep. This was just one of many petroglyphs that dot the landscape in these mountains. They are thought to mark ancient hunting grounds claimed by different tribes. 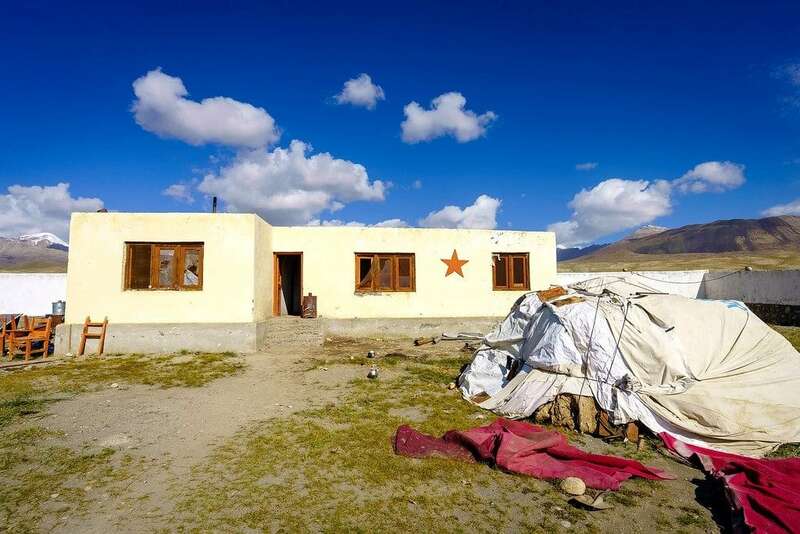 This simple 3 room school in the remote Afghan village of Bozai Gumbaz was built by Greg Mortenson and his Central Asia Institute. You may have heard of Greg before, he’s the author of the best selling novel Three Cups Of Tea, about building schools for girls in Pakistan. The school at Bozai Gumbaz, where I spent the night playing cards with Afghan army soldiers, was prominent in his 2nd book, Stones To Schools. The next morning a group of boys showed up on donkeys for class. I saw many CAI schools along the road from Eshkashim to Sarhad-e Broghil. 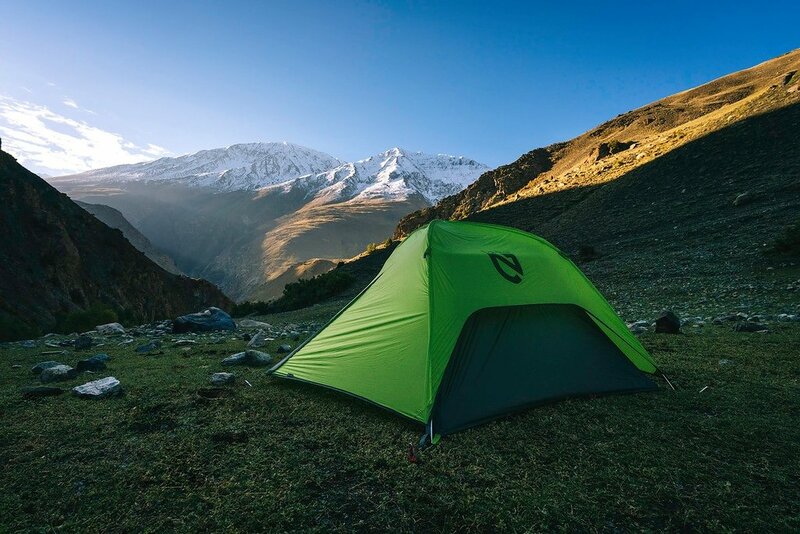 As a big fan of the outdoors, one of the highlights on this trip was the opportunity to wild camp in the mountains of Afghanistan. 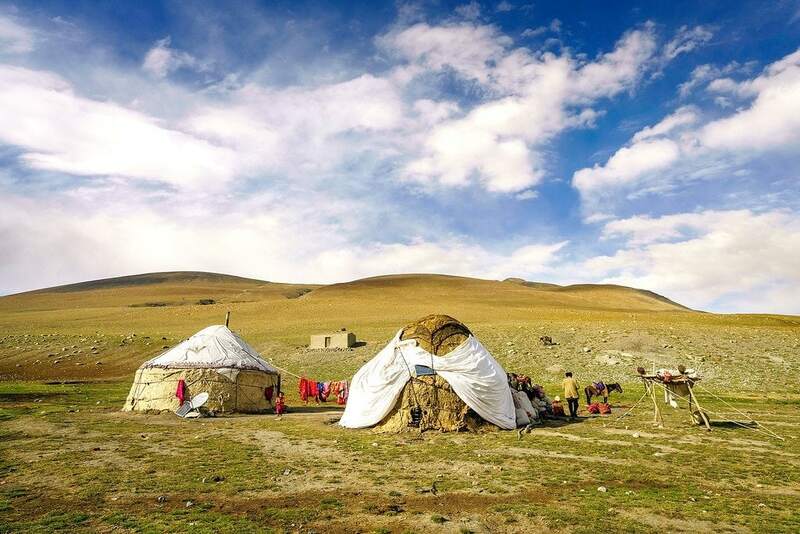 Most nights we were able to stay at small Wakhi or Kyrgyz settlements in basic guest huts, but we also camped out in tents a few nights too. Normally I’m a camping hammock kind of guy, but because I knew there weren’t going to be any trees for most of this trek, I packed my super lightweight Nemo Hornet 2P Tent. It snowed a few times during the journey — in August! I was constantly greeted with As-salāmu ʿalaykum which means “peace be upon you”. A shorter version of this is just salām. Shaking hands is common, and so is placing your hand on your heart, which simply means your greeting comes from the heart. Another important term I used during my journey is taschakor, meaning thank you. I always recommend trying to learn 10 of the most used words in a local language before traveling there. 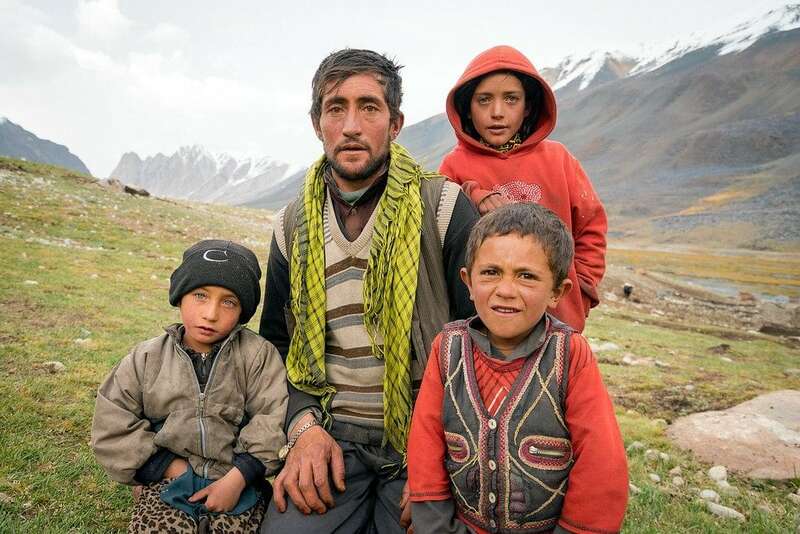 In the Afghan Wakhan, most people speak some Dari (Farsi) along with local dialects. Many people were asking if I saw women in Afghanistan. Yes I saw women during my trip, but most were extremely shy, especially if I had my camera out. Plus in their culture, talking with strange men is taboo. But shooting portraits of men or kids was not a problem. Near the border town of Sultan Eshkashim, with a large Sunni population, many women wear a full-length blue burqa that covers their face. 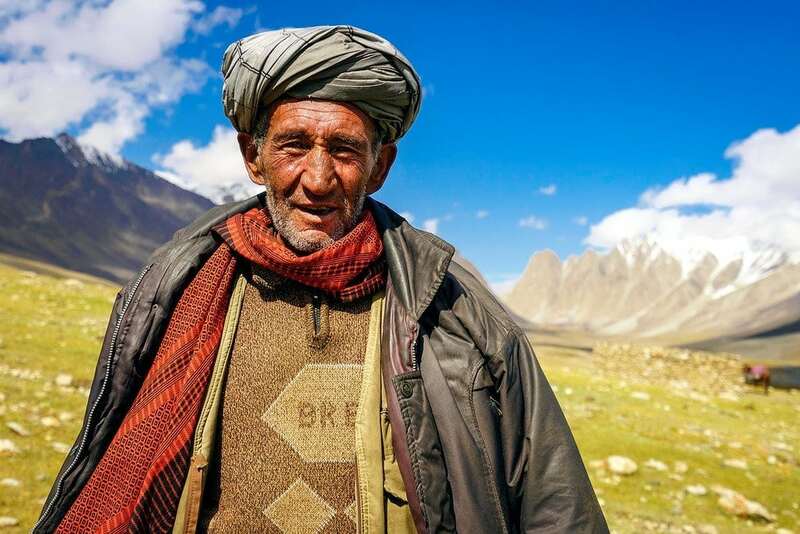 In more rural areas of the Wakhan, it’s less strict. Women wear long colorful dresses with a simple headscarf. I was able to say hello and see their faces. 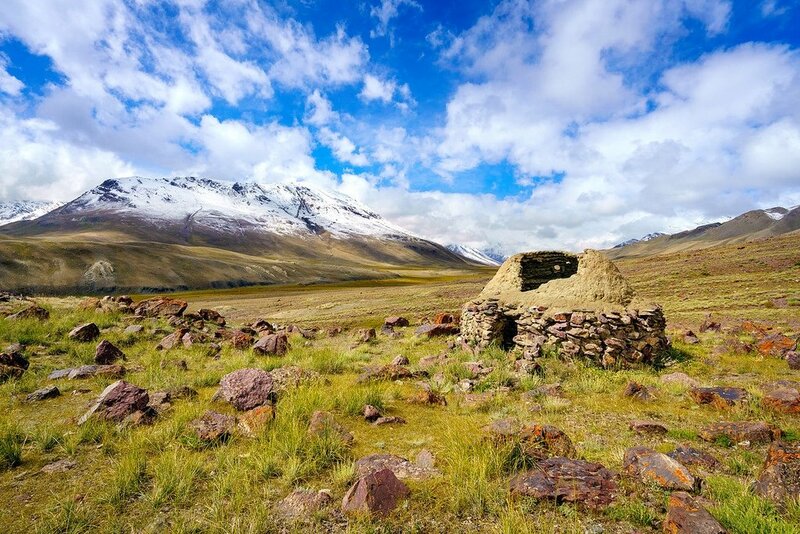 I encountered a few ancient burial tombs during my time exploring the Wakhan Corridor. 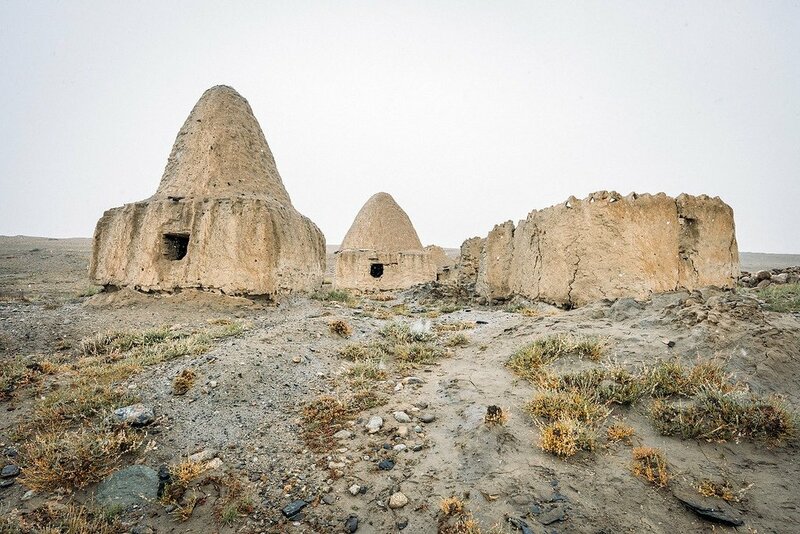 Near the Afghan military outpost of Bozai Gumbaz, there’s a collection of strangely shaped Kyrgyz beehive tombs, along with evidence of Soviet bombing (craters, bomb fragments) from the 1980’s occupation. At the settlement of Langar, we found a pile of ibex horns marking the burial place of a powerful big man. 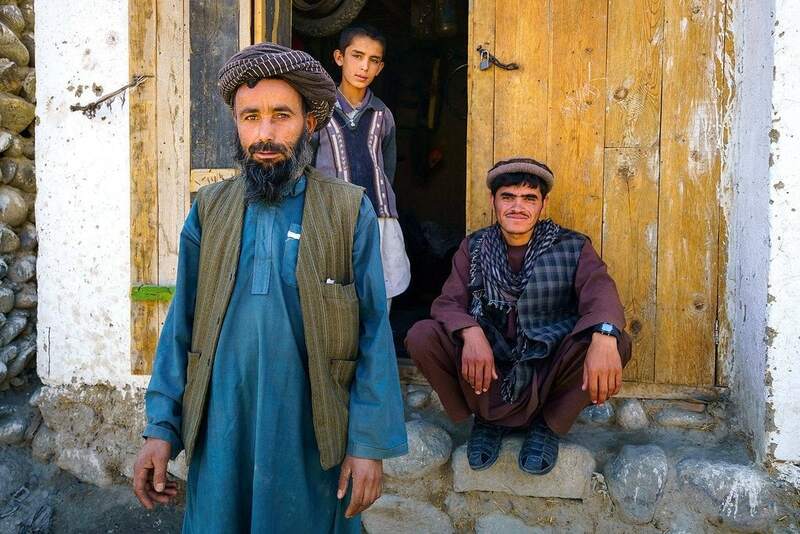 In Afghanistan, wealthy & powerful men are often called “big men”. It’s a bit like calling someone “boss.” The more animals, land, and wives you have, the “bigger” & more influential you are. 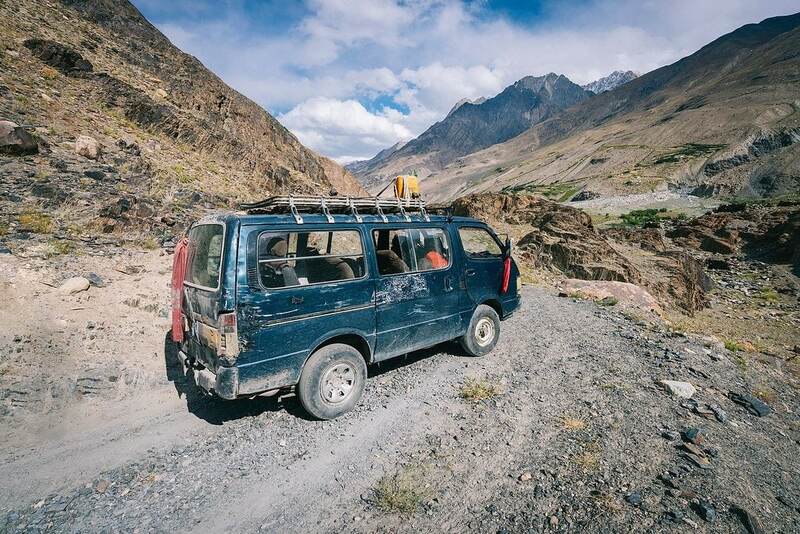 Before I began the 10 day, 100 mile trek through the mountains, I had to hire a 4×4 van to drive me to the last village at the end of the road. We passed a few military checkpoints along the way, stopping for tea & candy with officials before continuing on. The drive took 2 days, and the roads were some of the worst I’ve ever seen. Dust seeped into the vehicle, covering us in dirt. We forded rivers, drove along the edge of sheer cliffs, and were frequently stopped by huge herds of goats blocking the road. The van suffered 6 flat tires during the journey. While I entered Afghanistan alone, I decided to hire a local translator/guide and horseman to accompany me on the trek into the mountains. It would have been extremely difficult to communicate with others without their help. We spent a few nights at Wakhi settlements during the hike. 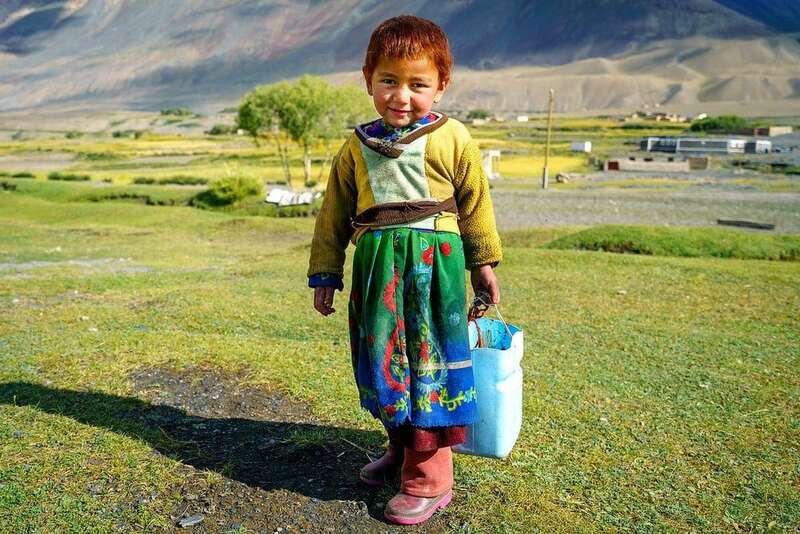 Life in the Wakhan is rough, especially for kids. About 60% of children here die before the age of five, the highest infant mortality rate in the world. If they do survive, they are put to work helping out with the family business — animal herding. There are a few schools out here, thanks to the Central Asia Institute, but it’s up to the parents if they go. In some communities, only the boys are sent to school. The morning commute can take a few hours by donkey due to the lack of roads and distance between settlements. I was really hoping to see a snow leopard or Marco Polo sheep while I was traveling through the mountains of Afghanistan’s Wakhan Corridor. You know, Walter Mitty style! 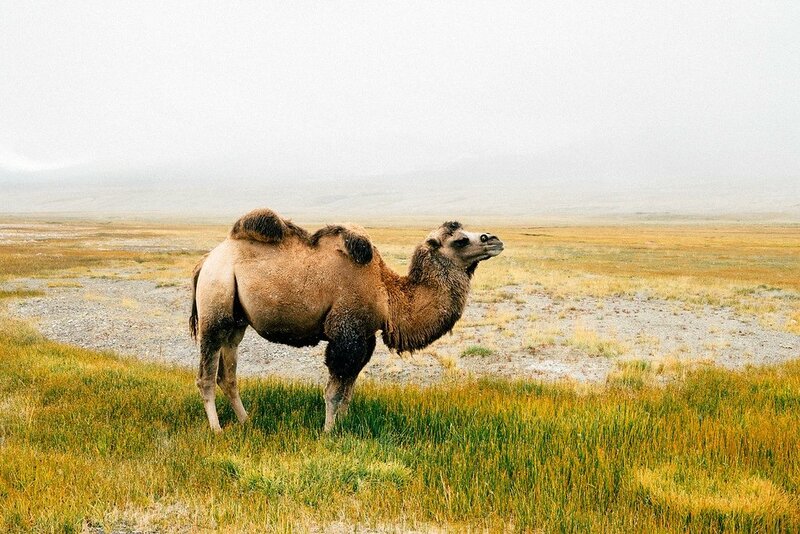 Unfortunately both of these endangered animals are extremely difficult to spot — but I did find camels! 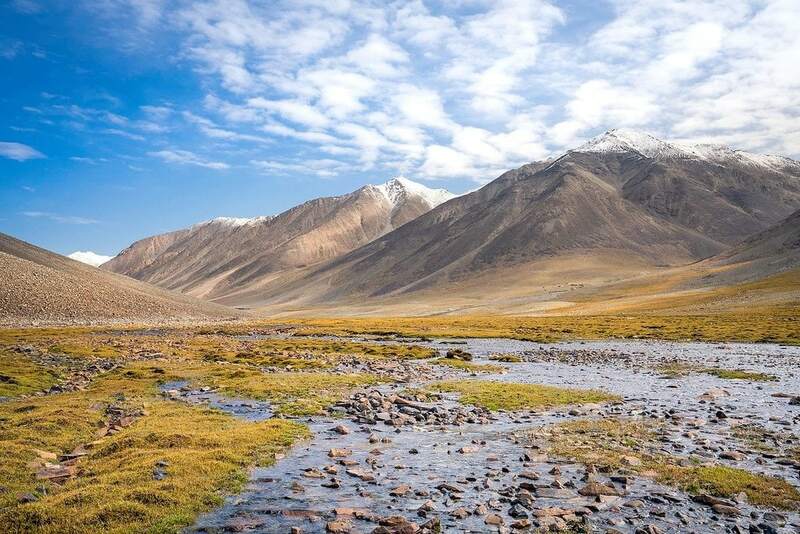 Luckily the Wildlife Conservation Society has staff in the area, often spending weeks in the field gathering data to protect wildlife in the Wakhan. They estimate there are about 100-200 snow leopards living in these mountains. Wolves and bears also call this wilderness home. So there you go. 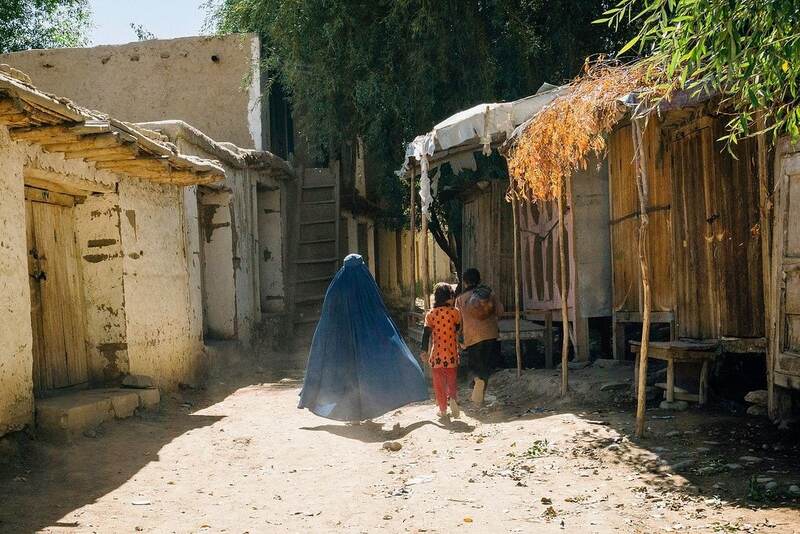 A peek at the other side of Afghanistan that we never see on the nightly news. After traveling the world extensively for the past 6 years, I’ve noticed this is a common theme. Don’t let our media, which is primarily focused on negative & sensational topics, be your only window into the dynamics of a foreign country you’ve never been to. I’m not going to tell you that Afghanistan is safe. It’s not. Our troops who’ve served there can tell you. Afghans themselves are well aware of the dangers that plague their country too. 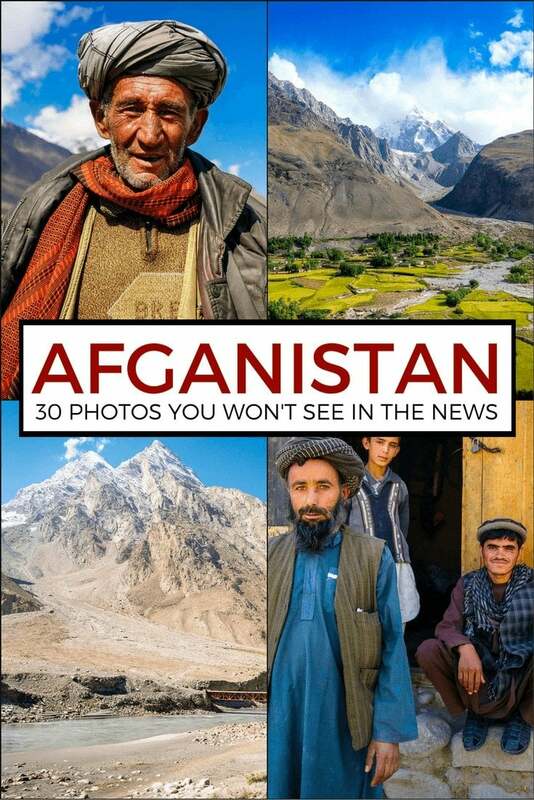 But I think there’s another side to Afghanistan that deserves some attention. The rugged, scenic mountain landscapes. The friendly, hospitable local people. Have any questions about Afghanistan? What do you think about traveling there? Drop me a message in the comments below!